Sedki Alimam is an award-winning designer and art director, with extensive international project experience. He has developed products and concepts for global companies like IKEA, Marvel, Dreamworks and Disney. His work spans a variety of mediums, including UI/UX, illustration and graphic design. At Appelberg he is a senior art director and helps clients such as Teknikföretagen, SKF, Scania and Saab. Erik Aronsson has been working as a project manager and editor at Appelberg since January 2004. Prior to this, Erik was managing editor of the business weekly Finanstidningen and managing editor at Reuters in Stockholm. 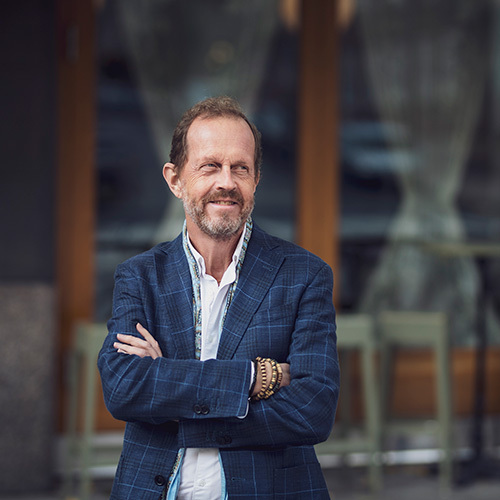 During his years at Appelberg, Erik’s main responsibility has been his role as managing editor for SKF’s international customer magazine Evolution, which is produced in ten language versions in print and online. 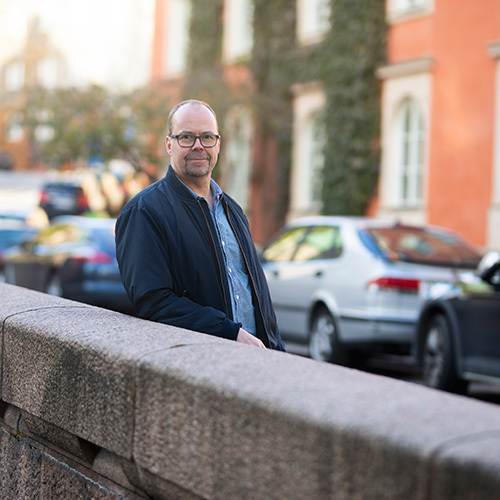 Erik has also worked with numerous other Appelberg clients, such as Scania, Danske Bank, PwC, Saab, Trelleborg and on year-end reports for Volati, NetEnt and Addnode. When not at his desk at Appelberg, Erik prefers to be at the tennis court, in his wine cellar or in the kitchen making dinner. Tom Barette is Head of Design at Appelberg where he has been working since 2012. He is focused on leading the creative and strategic vision for the design team, across all products and services including both digital and print. He is also artistic lead on several projects, including printed magazines, websites, branding and annual reports for a range of clients such as SKF and NetEnt. Tom is originally from London where he graduated with a BA in Graphic Design from Central Saint Martins. Outside of work he is a keen Tottenham Hotspur fan and loves to travel. 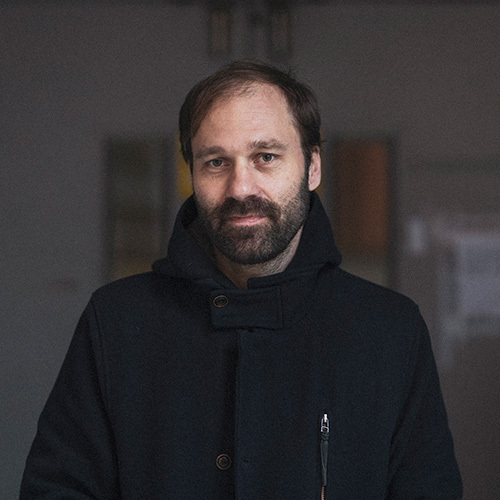 Alexander Biörsmark is a director and film producer at Appelberg and has experience of both advertising and motion pictures. He is dedicated to making every film an example of high-quality storytelling. His experience has taught him that a collaborative approach works best. Driving change towards digital communications since 1999. Ammi Bohlin is a senior advisor with roughly twenty years of experience from the media and communication sectors. 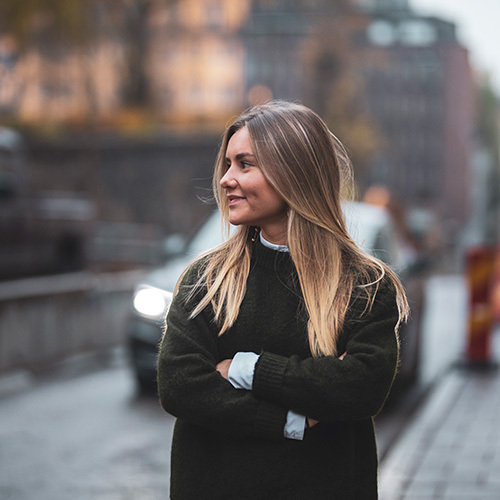 She has a background in marketing and journalism and has worked for brands like BMW, Aftonbladet, Plan International and Bonniers, often in management positions, always with Internet at heart. ‘Don´t major in minor things’ is her mantra to keep focus and achieve the set goals. To keep her kimono addiction satisfied she spends an unhealthy amount of time at Swedish online auction site Tradera. Specialities: Change management, digital communication and strategy. 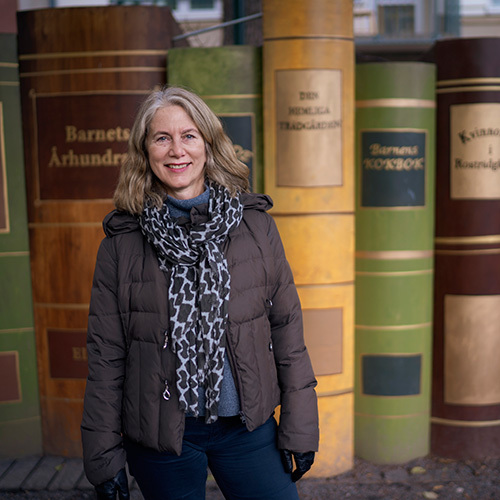 Ylva Carlsson is a project manager/editor – and a proud cultural geek. She never misses a concert with singer and organ player Anna von Hausswolff or an art exhibition with Karin Mamma Andersson. 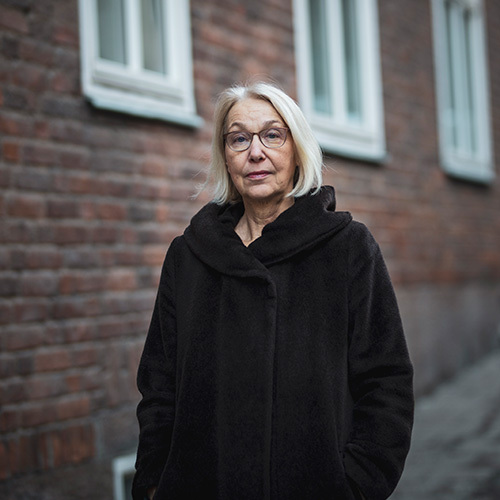 Ylva worked in the newspaper industry for many years and she still feels her pulse rise when a news flash comes in. She is passionate about writing: especially making tricky subjects accessible. Ylva also has a weakness for assignments that create social benefits. Her customers include Hjärt-Lungfonden, KTH, SIS och Trygghetsfonden TSL. 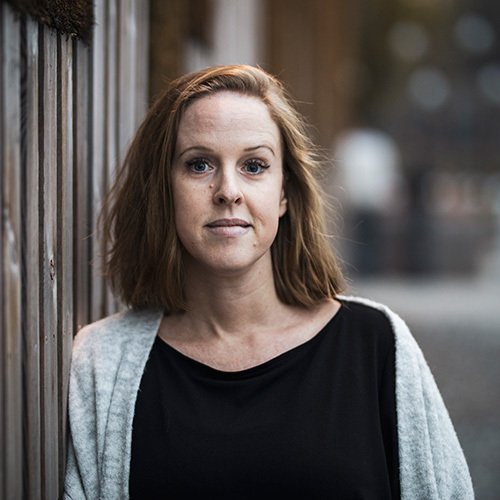 Åsa Carlsson is a dedicated graphic designer and her main passion, besides flying, is editorial design. She enjoys the challenge of working with stimulating projects and takes great pride in her work to deliver high quality products. Åsa also has a thing for problem solving and smart technical functions. 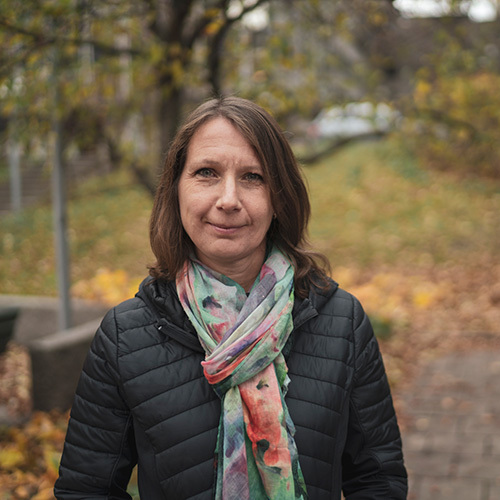 After nine years at Appelberg, working with clients as SKF, Scania, SCA and Atlas Copco, she has become an expert in producing and managing multi-language print projects. Åsa is trained in fine art and has a Bachelor's degree in Media Communication and Graphic design. 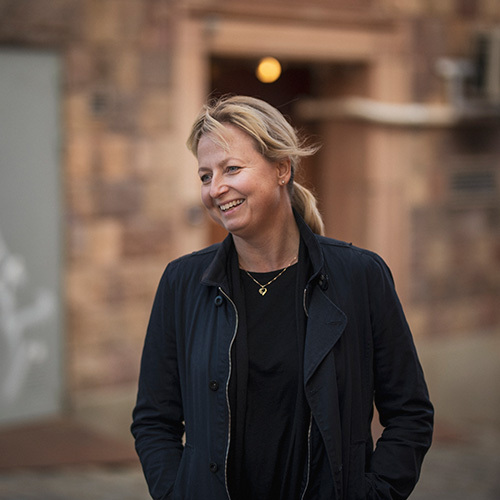 Gabriella Dahlstedt is head of production at Appelberg, where she has a calm and collected approach to her organisational capability. Always with a touch of humour to avoid letting things get too serious, she maintains that making any decision is better than none at all. Her preferred method is to listen, organise and execute. Gabriella can always be relied upon to keep control of every production and her unerring sense of focus will ensure that the job always gets done. Nicolaus Daun is an online editor and writer. 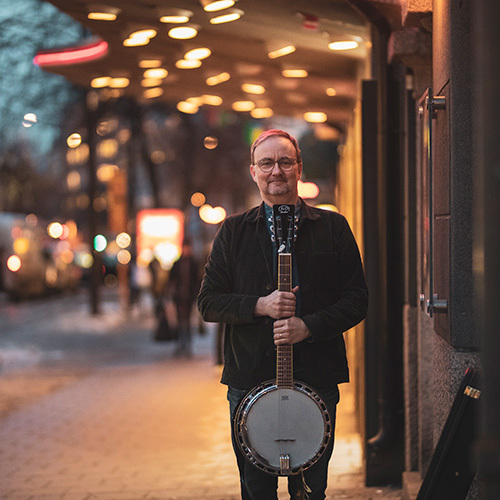 He’s been a journalist for over 15 years and was a part of Dagens Nyheter’s newsdesk for eight years. 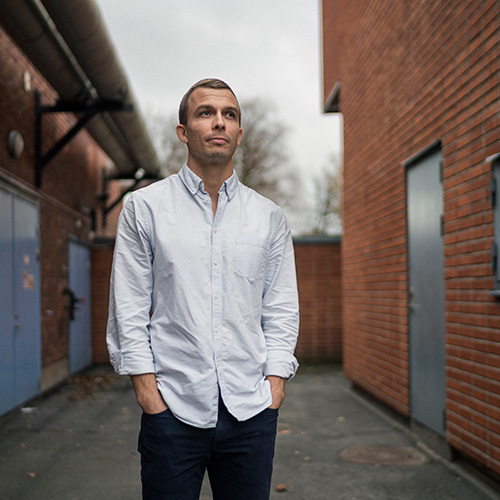 At Appelberg his primary client is Scania, where he works with the company’s website and manages its huge social media platforms (more than 2.5 million followers and counting). If you want to sharpen your writing skills you should check out his class Att skriva för webb och sociala medier/How to write for web and social media. But if you want to know where the best places to go for a swim are on Gotland, you should just ask him. He grew up on the island, and still spends his summer holidays there with his family. Kristin Djerf is a project leader, content editor and writer at Appelberg. She’s been working as a journalist for fifteen years, many of them covering the challenges and opportunities of a changing media landscape. 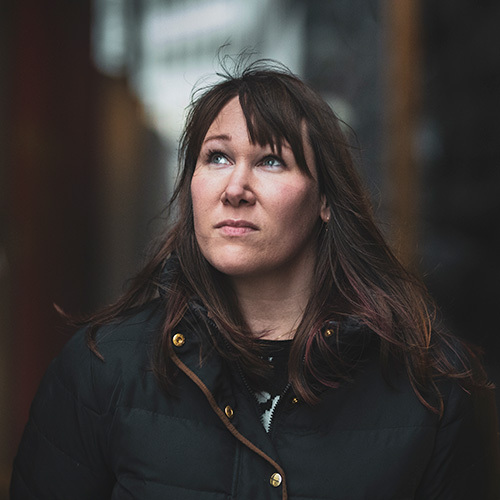 Kristin is a creative editor who finds great pleasure in constructing and implementing content strategies and editorial concepts for everything from printed magazines to video, podcasts, native advertising and long reads. Cecilia is a senior level creative with a passion for conceptual thinking and a stellar eye for style. Her experience, curiosity and creativity has led to several nominations and awards within design and content marketing. Cecilia has a Master’s degree in graphic design. She enjoys spending time with her family in the Stockholm archipelago. Natalie Gilljam is a production coordinator that loves to keep track of anything and everything. With a big smile she navigates through a creative environment by being administratively savvy. Outside of work she indulges in the fantastic concept of quality Hallmark TV shows. Robert is a real pre-press aficionado. He has been working with digital images since before Photoshop. His areas of expertise include print and digital publishing, advanced image editing and retouching, product photography, print quality assurance, 3D graphics and animation, and 3D printing. At weekends early in the morning he can be seen at selected skateparks surfing the concrete. 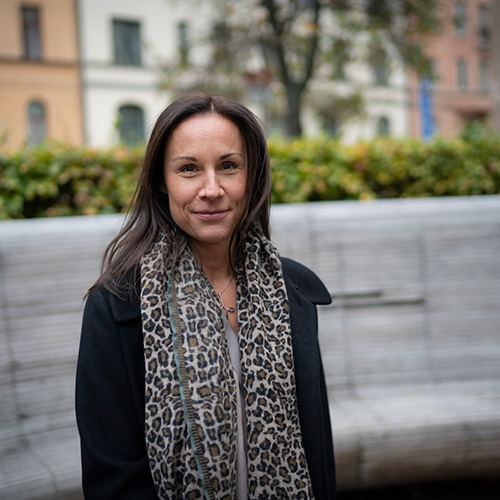 Nora Henriksson leads the film department at Appelberg and has a broad background in journalism, television and mobile content. When it comes to film as communication, she drives the breakthrough between the authenticity of the documentary narrator, the creative world's creativity and the entire content genre's mission to tell strong stories. She thinks it's great to watch what seems like 500 million clips on youtube - every day. Outside work, she has managed to take two silver medals at svenska mästare level, one in boxing and one in American football. 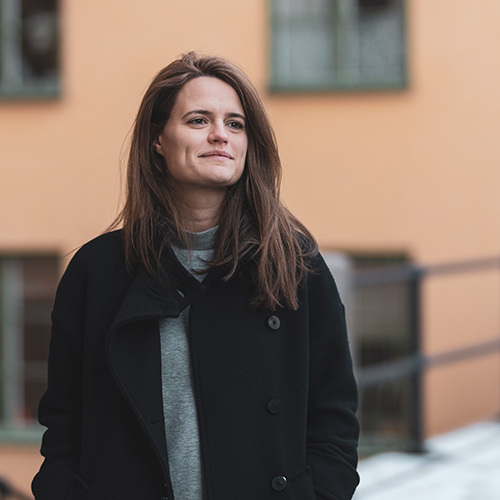 Leia Ladfors is a film producer who enjoys editing, illustrating and animating. She has always loved storytelling and studied both religious history and social anthropology before she started working with TV in her early twenties. During her eight years in London she worked with both Viasat and BBC World, and maybe you’ve heard her voice on TV since she also worked as a voiceover artist for TV3. She loves Nordic mythology and Sami culture as much as carnivals and rum, and maybe that’s not so strange since her dad is from Umeå and her mum from Trinidad and Tobago! 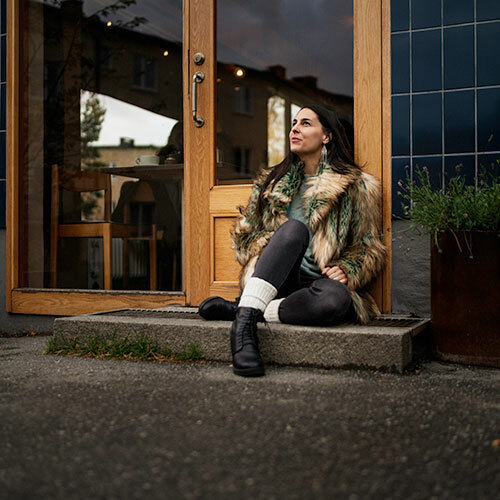 At Appelberg all her experience and knowledge can be harnessed into her work to produce interesting, eye-catching and highly visual content that always tells a story. 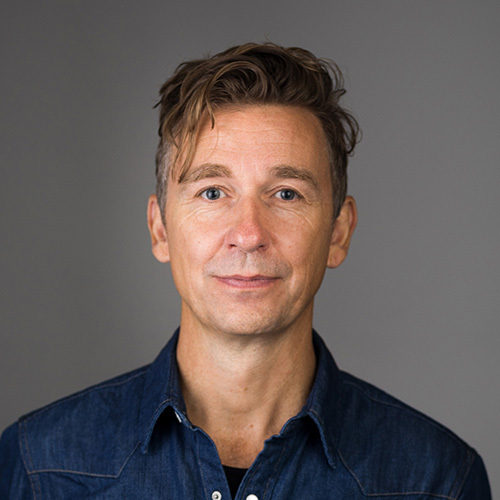 Rasmus Lindgren is a film producer with extensive experience from documentary and commercial productions. His goal in every project is to keep the final product “sharp” from beginning to end. He’s making one great film after another, and has been doing so for a couple of years now. So meet with this guy, it’ll be great. Johannah Lindquist is a project manager and digital strategist. Newsletters are one of her passions, a media channel she thinks is ideal for spreading content and measuring engagement. At Appelberg, Johannah has had several roles; web editor, production manager and project manager. Top quality content is her aim and her high-flying ambition could also be found in her choice of summer job during her university studies: flight attendant at Stockholm's largest hot air balloon company. 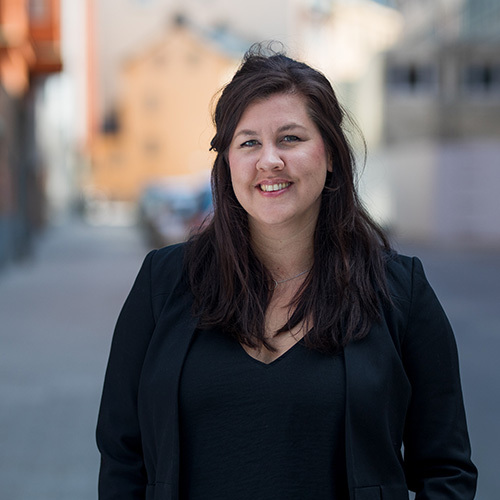 At Appelberg she works with clients like Hjärt-Lungfonden, Scania, Grant Thornton and Swedol. 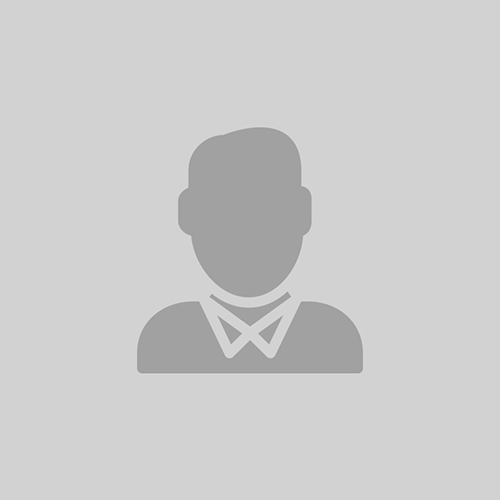 Contact Johannah if you want a skilled project manager or if you want to know more about email marketing. 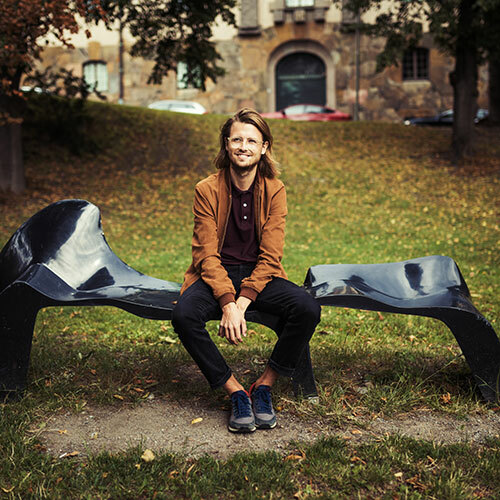 Markus Ljungblom is an award-winning Senior Art director working on editorial and branding projects across print and digital channels. 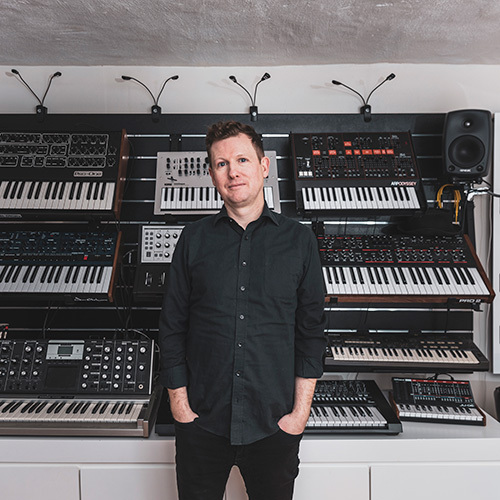 An early interest in music led him to the insight that the cover can be just as captivating as the tunes themselves, while an early career as an photographer working with advertising and magazines left him with a taste for graphic design. Educated at Central Saint Martins and Berghs School of Communication and Design Agency he creates visual concepts, editorial design and digital media for B2B and B2C. He can see the whole picture down to the finest detail. He is currently working with clients such as Scania, Hjärt-Lungfonden, Affärsvärlden, Swedish Standard Institute, Saab and Beijer. 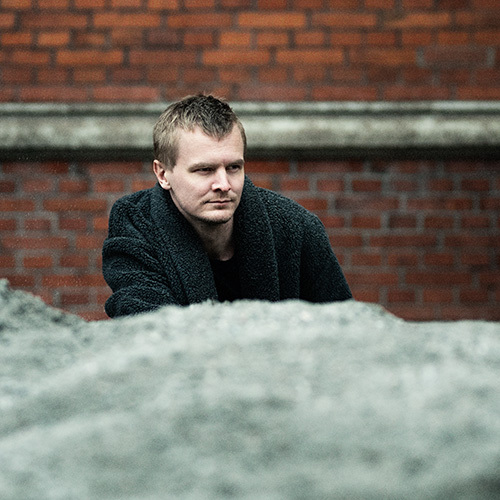 Markus’s work has won recognition from the Svenska designpriset and the Swedish Content Awards. Petra Lodén is a project manager who is also an engineering wannabe. She really enjoys working with B2B communications and in particular industrial clients. She holds a Degree of Master of Science in Business and Economics, specialisation marketing, as well as a diploma in Journalism and a degree in Education. 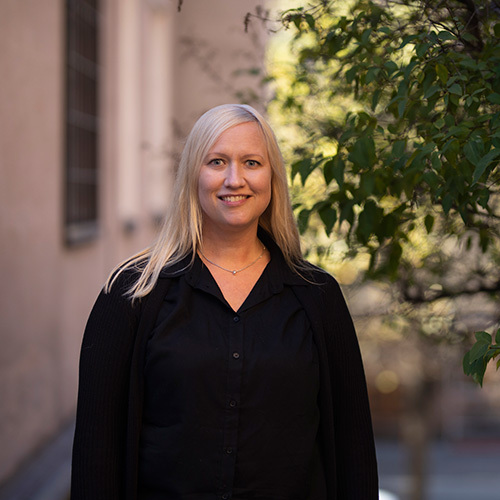 Petra has written for business magazines in Sweden and Slovakia (she spent a few years as a freelance writer in Central Europe), and at Appelberg has focused on working for large industrial clients with several language editions. Contact Petra if you are looking for a skilled project manager and consultant in content marketing. If you like dogs, you can follow the adventures of her new pooch via @nelsonthelagotto on Instagram. 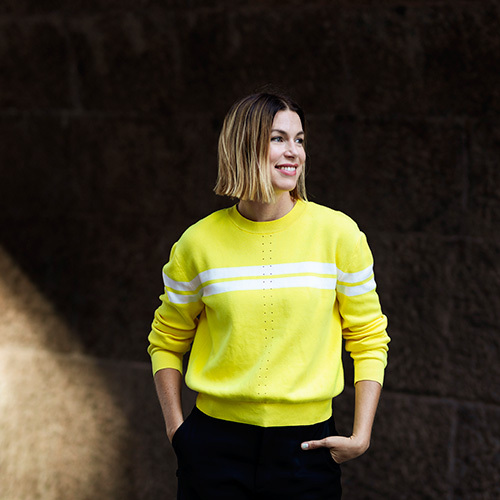 Petra Malm is interim CEO at Appelberg, leading a team of digital strategists, web editors, art directors and senior project managers. She has been working more than 20 years with strategic content marketing and is today senior adviser in communication for some of Appelberg’s largest clients. When not in the office you will often find Petra at the gym at a kickboxing class or outdoors, going for a run in the woods. Andrew is an experienced journalist with a passion for English, though he's a proud Scot hailing from the Glasgow area. He has a rich and varied background in newspaper journalism, the UK government sector and content marketing. 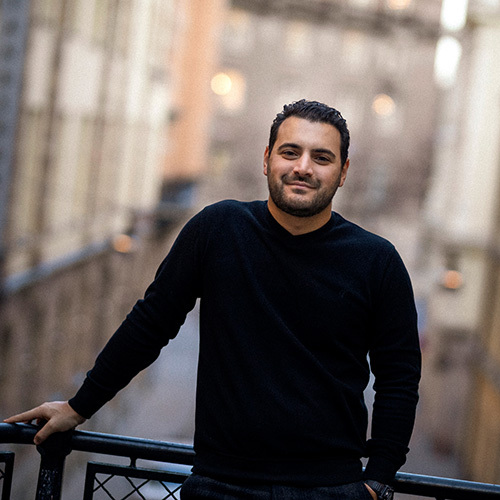 After detours via London, New York City, Las Palmas and Brighton, he came to Stockholm on a romantic whim and stayed, because he loves the place and because he loves working for Appelberg. 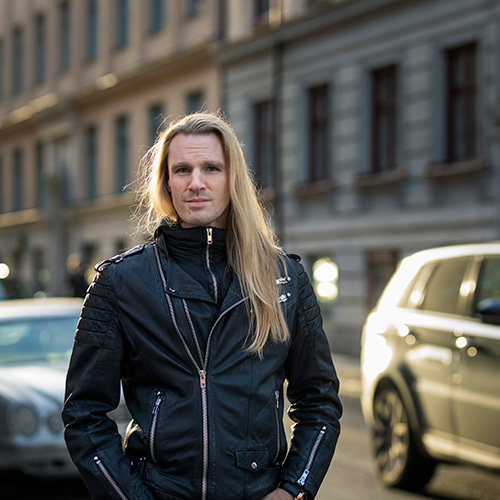 His assignments include Scania, Intrum and Saab, and his expertise includes annual report writing, news, features, filmed interviews and voiceovers. In a past life he was the singer in a minor ‘90s British indie sensation, while he’s now in an electronic duo that wants to make the soundtrack to the movie of your life. With her long experience and deep interest in the client's business, Lena Nilsson is a very good ‘compass’ to direct complex projects. 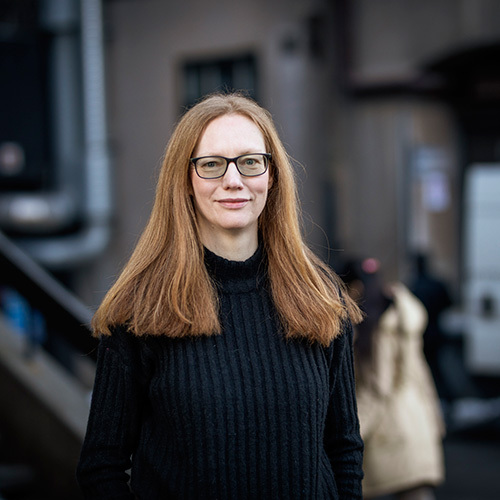 Her editorial schooling led her to a job as a night manager at Svenska Dagbladet, but she also worked as an information officer in the steel industry. If Lena had to list three things that are crucial to creating long and trustworthy client relationships, she would say delivery security, high editorial quality and good business sense. Lena is very interested in cooking and textile crafts – she says that’s because it's creative, and it’s lovely to work with your hands. After working for four years as an infographic designer and illustrator at a news agency in Stockholm, Malin gave in to her love for storytelling and started the Motion Creative programme at Hyper Island. That opened the way to later working at Appelberg. As a Motion Designer, Malin is able to combine her passion for illustration with animation, because how something looks and how it moves are equally important when telling a story. Speaking of something that looks and moves great, Malin likes to dance Carnaval samba. 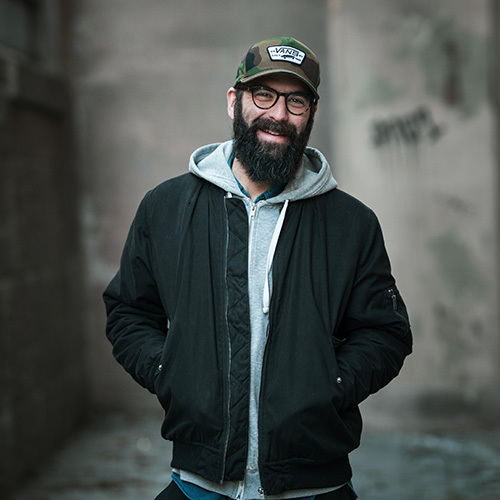 Tobias Prag is a cinematographer and editor that morphed into making branded content after years of freelancing for the old school TV industry. He’s a camera wizard who is a smooth operator on set, regardless if it’s a fashion film, documentary or a corporate film about some intricate technical subject. Actually, Tobias is an engineer at heart and has two degrees: one in mechanical engineering and one in tv journalism. 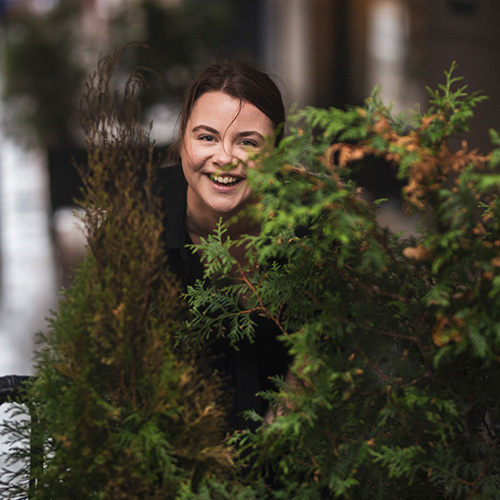 Being a Sales Manager for a Content Marketing bureau is no easy task, but thankfully the good ship Appelberg has keen sailor Rebecka Björhn on board. 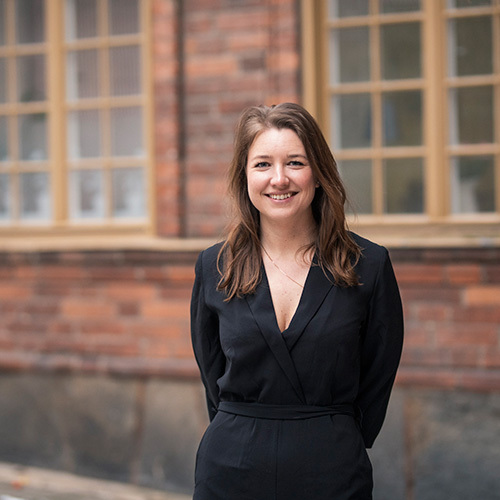 Equipped with a Master's in Business Administration and specialised in marketing, Rebecka came to us from our sister company Mediaplanet Sverige, bringing an upbeat, happy energy that's great to be around. Her extrovert personality means that she loves to meet and talk with new people, and she has a knack of finding out what our customers need and how Appelberg can help them get there. When Rebecka is not in the office you might find her out sailing, or testing her patience on the golf course. 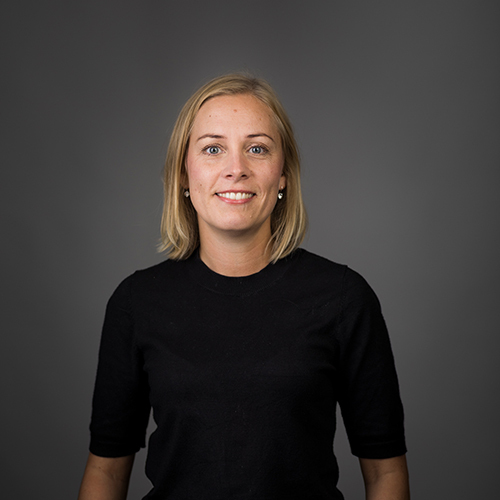 Our CEO Elin has already achieved a lot in the short period of time she has been at Appelberg. 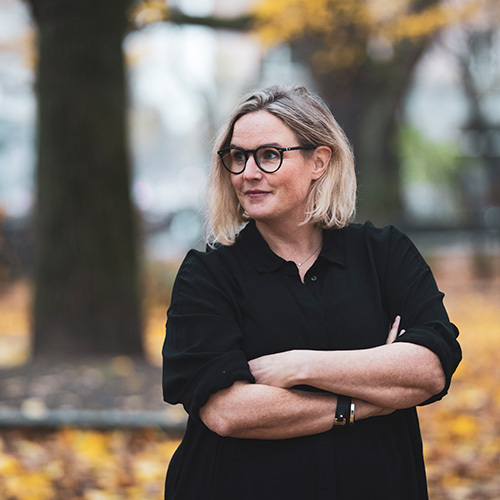 Elin joined the company in January 2017, starting as Head of Film, and quickly built up a strong, highly creative department that is making a name for itself in the Swedish content marketing industry. 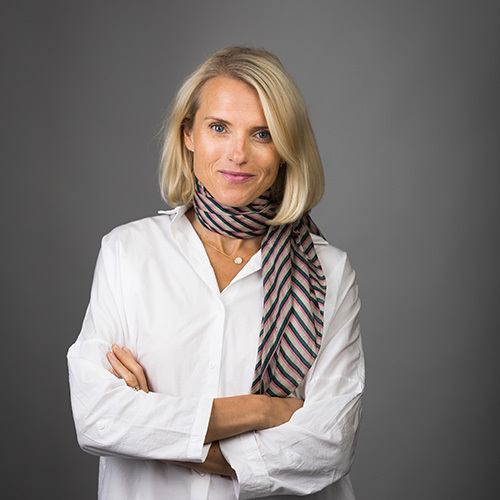 Since becoming 'head honcho' in late 2018, she has set about equipping Appelberg for the years ahead, calling on her extensive career experience in content marketing, including a spell as CEO of a film agency focusing on B2B and B2C clients. A proud Norrländska from Umeå (maybe you've already noticed the accent), Elin likes nothing better than spending her spare time outdoors with her family and pet dog, or taking it easy indoors, losing herself in Netflix series for hours on end. Kerstin is a skilled and curious word nerd who loves to deal with language issues from different angles, whether coordinating complex global projects, meeting the demands of language layout, proofreading or improving text quality and readability. She has worked with clients such as SKF, Dustin, Scania and Trelleborg. Kerstin started her career with a degree in social work, an experience she has drawn on when it comes to problem solving. In fact, the more complex the task, the better. Kerstin has a deep interest in literature and theatre, but it's not always about words; she loves dance and music, too. Linda Strömbäck is the first face people see for those who visit Appelberg. As the manager of the administrative needs of four different companies, Linda ensures that everyone in the office is happy and that their coffee and tea needs are satisfied. Linda is energetic, structured and solves everything with a smile. Before coming to Appelberg, she worked in various industries, including the banking, pub, legal and media sectors. Linda is also a fun-loving kid who loves to write. Oh, and she also makes Södermalm's best breakfast! Camilla is a web editor with an eye for the details. Responsible for publishing texts and newsletters in ten different languages, she leaves nothing to chance. 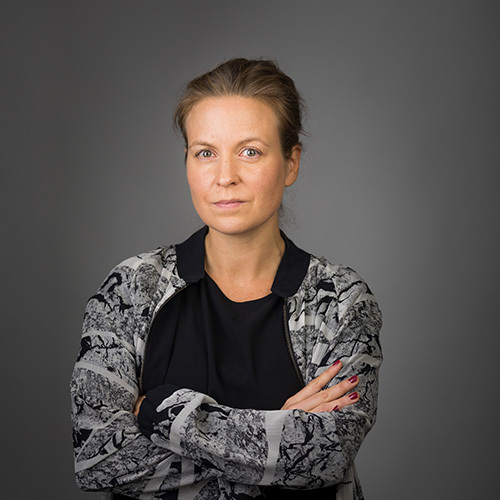 She has worked with clients such as Microsoft, SKF, SSAB and Scania. Acting as a peace broker, Camilla is a master in resolving conflicts, but she has also discovered her natural talent for military discipline when required, thanks to having three five-year-olds at home. Camilla thinks she can beat everyone at Mario Kart 64. 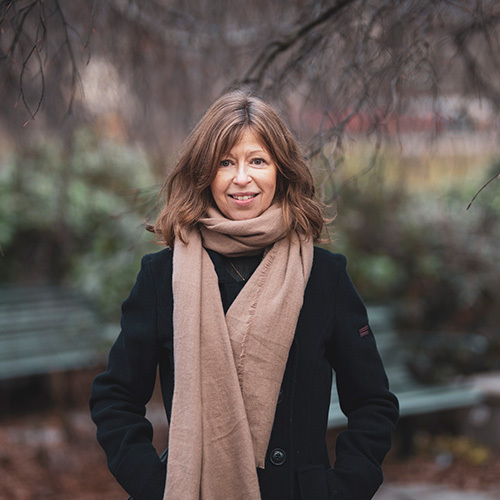 With a background in journalism and years of experience in communication, Moa Thorsell instinctively knows what is newsworthy and how to produce and package a truly engaging story. She is a passionate project manager who is as comfortable in the development of a website as she is in the production of a film series or a print product. 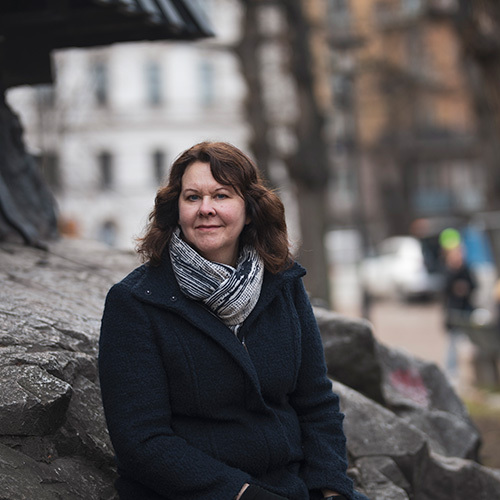 Freelancing from Paris and importing a Frenchman to Sweden has made France Moa’s second home. Her saxophone is her most valuable belonging and the Moomins are a lifelong obsession. As a member of Appelberg’s language team, Helena has a talent for remaining calm and organised in a job that is busy and often tricky. 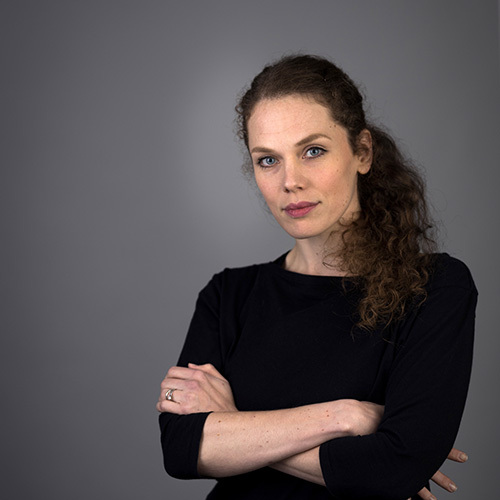 She has considerable experience of working with demanding magazine and annual report projects and has coordinated language work for global clients such as Atlas Copco, Saab, Scania, SKF and Trelleborg. Her training in art, journalism and web publishing has come in handy in her professional life, but when she’s not working her passion is food and cooking – she tries not to miss a single cooking programme on TV.